James Chilton was baptised on 22 August 1596 at St. Martin's, Canterbury. He was the son of James Chilton and (unknown) (Unknown). James Chilton was baptised on 11 September 1603 at St. Peter's, Sandwich, Kent. He was the son of James Chilton and (unknown) (Unknown). Jane Chilton was baptised on 8 June 1589 at St. Paul's, Canterbury. She was the daughter of James Chilton and (unknown) (Unknown). Joel Chilton was born in Canterbury ? He was the son of James Chilton and (unknown) (Unknown). Joel Chilton was buried on 2 November 1593 in St. Martin's, Canterbury. Susanna Winslow5 b. b 1630? [S102] Annie Haven Thwing, Inhabitants of the Town of Boston, 62277. [S125] Robert Moody & Vincent, Verle Delano Sherman, Mayflower Families, p. 7. Mary Chilton was born in Canterbury ? She was the daughter of James Chilton and (unknown) (Unknown). Mary Chilton was buried on 23 November 1593 in St. Martin's, Canterbury. Bethia Chipman was the daughter of John Chipman. Bethia Chipman married Samuel Smith on 16 October 1717. [S75] Frederick Lewis Weis, Colonial Clergy, p. 36. [S73] The Mayflower Descendant, Vol. 41 p. 2. John Chipman was the son of Hon. John Chipman and Hope Howland. Hon. John Chipman was born in 1613/14 in England. He was the son of Thomas Chipman. Hon. 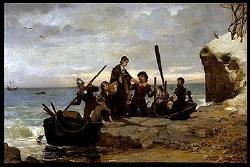 John Chipman emigrated in 1631 to Boston, Massachusetts. He married Hope Howland, daughter of John Howland and Elizabeth Tilley, on 13 September 1646 in Plymouth, Massachusetts, twelve children.2 Hon. John Chipman died on 7 April 1708 in Sandwich, Massachusetts. [S83] NEHGR, Vol. 6, p. 272. Samuel Chipman was born on 15 April 1661. He was the son of Hon. John Chipman and Hope Howland. Samuel Chipman married Sarah Cob, daughter of Henry Cob, on 27 December 1686. Samuel Chipman died on 5 August 1752 at the age of 91. Thomas Chipman died in Bryan's-Piddle (Bryans Puddle), Dorset. [S392] Website findagrave.com (http://www.findagrave.com/) "# 89031540." [S365] Eben Graves, The descendants of Henry Sewall. Vol. II (Unpublished), #51. [S83] NEHGR, Vol. 147 p. 186.